Prime Location in Desirable Cypress Landing, a Great Family Neighborhood! This Unique Property Gives a Buyer the Best of Both Worlds...A Nicely Landscaped Backyard for Entertaining (Big Enough for a Pool) as well as a Designated Private Boat Slip on a Community Dock for Fun on the Delta! This Home has Great Curb Appeal Featuring Stucco Finish with Brick Accents, Plus a Beautiful Grassy Front Lawn! 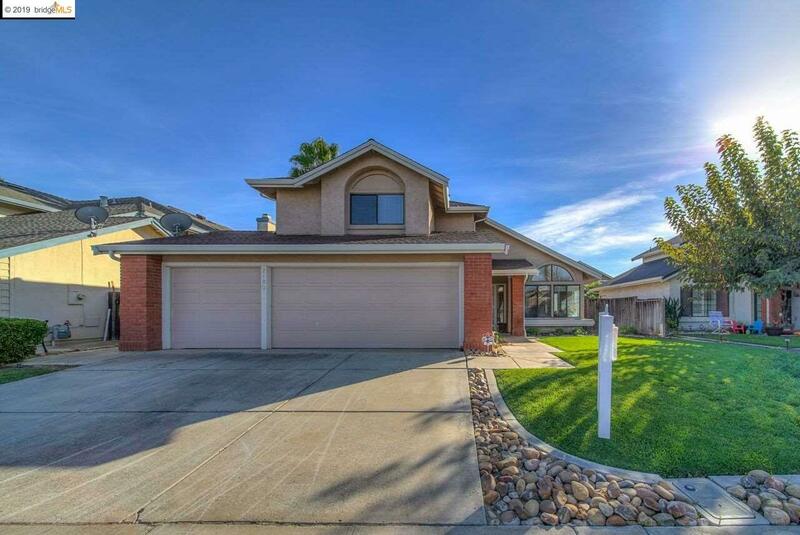 3 Bed + 2.5 Bath + 3 Car Gar, Open Floor Plan, Vaulted Ceilings, Wet Bar, Updated Flooring Downstairs, Fireplace, Newer A/C unit, Newer 40 Yr Composition Roof, Stucco Exterior & Rear Covered Patios with Side Yard. Excellent Location Just Walking Distance to the Community Dock, Which Offers High-Quality Concrete Construction, Full Power, Electrical, Lighting, Security Lock & Cameras (*Included with the Very Low HOA Fee). Great Price Point for the Boater Buyer! This is the ONLY Home for Sale in This Awesome Neighborhood Right Now! Don't Wait! Call for an Appointment or Come By Our Open Houses! !